"The bodily process of digestion, absorption and elimination is one of the most important to our health." and "All disease begins in the gut." Hippocrates made these statements over two thousand years ago and it is truer today than ever. Today we are challenged on many fronts: lifestyle and diet, deficient intestinal flora, stress, toxic chemicals in our food/water/environment, and frequent use of antibiotics all deplete our healthy supply of beneficial enzymes and bacteria. Poor diet, digestion, assimilation and elimination allow for the foundation to disease. Another great physician Dr. Henry Lindlahr MD called this “Morbid Matter.” Today we say that you are toxic. Our bodies rely on proper enzymes, healthy microbes and proper nutrition to produce anti-bacterial cultures in order to strengthen the intestinal walls and to support our immune system. Lessen the “Leaky Gut” syndrome. Therefore, our food choices either help the healing from disease or contribute to its worsening. Finding what foods the body is sensitive and reacting to is of first priority. Researchers over the past two decades have discovered that digestive health is paramount to overall health, and an unhealthy digestive system can contribute to a wide range of health issues. The correct balance of what you eat feeds your body. It also feeds the healthy bacteria in the digestive system that allows your food to be used effectively by the body. 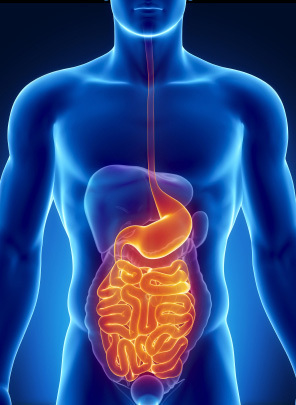 If your digestive system is healthy, your body and mind probably are too. You might think that the signs of an unhealthy digestive system would be obvious. Of course, symptoms like digestive distress, bowel movement problems, and abdominal pain can signal that something is unhealthy in your digestive system. Infusion Health is a Integrative Clinic located in Tucson, Arizona and Turlock, California; but also offers TeleMedicine to those anywhere in need. As technology advances, we have more ways than ever to take control of our health. That’s where Infusion Health comes in, offering specialized services to take healthcare to new levels.